Enter the Spinning Music Two Million Views Contest! Last night the counter clicked over and this little blog hit two million page views. It took just over three years to get the first million hits and less than fifteen months to get to two million. Spinning Music now has almost 1,000 regular subscribers who turn to this community to help them deliver the very best indoor cycling classes. I am humbled and delighted that so many people find the blog helpful. Thank you for making this such a wonderful community. You have contributed more than 1,700 comments filled with your ideas and expertise. Up for grabs? Your choice of a cycling jersey from the official Spinning website (up to $100 value). The contest closes at 11:59 p.m. on December 31, 2012. I’ll do a random draw from all eligible responses and announce the winner in early January 2013. The fine print: If you entered last time, you can enter again, even with the same song. You can nominate the same song someone else has already chosen. The toughest part of this contest is that you can only enter once, and you can only nominate ONE song for the all-time best honour. Which song would I choose? Regular readers will be able to guess: it’s The Edge of Glory by Lady GaGa. 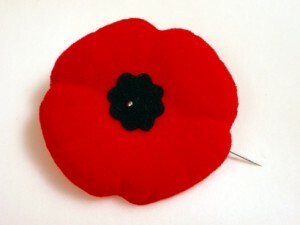 Last week was Remembrance Day in Canada and Veterans’ Day in the USA. When I was growing up in Ontario, Remembrance Day was observed with two minutes of silence – and then everyone getting on with the business of making money. It never sat well with me. In Nova Scotia, where I now live, Remembrance Day is a provincial holiday and many people make a point of attending an official ceremony. I like to offer a song honouring veterans and serving soldiers at my classes during Remembrance week to encourage reflection during the cool down. My favourite song for this purpose is The Trews gorgeous Highway of Heroes. While searching for other options, I came across a blog post from Pink Ginger that included some great options from mostly Canadian artists, some of which are reproduced below. I have also included some other suggestions. This list is heavy on Canadian artists and on country and folk music. I am sure there must be many other appropriate songs, so let me ask: Do you commemorate Remembrance Day or Veterans’ Day in your classes? If so, what song(s) do you choose?